It’s about time we asked the question yet again: what on earth is the Palestinian National Authority (PNA) still doing in Palestine, a quarter century following its establishment in Gaza and a smidgen of territory in the West Bank? Palestinians, given the resilience they have evinced in their national struggle over the decades, are not made for defeat. Yet, since the PNA assumed power (or what little power the group was allowed to wield as per the Oslo Agreement), the Palestinian people have suffered one political defeat after another, one diplomatic disaster after another and one act of social grief after another. More importantly, their aspirations for freedom and independence remain mockingly remote. Yet their leaders schlep along, seemingly indifferent to their people’s woes. And there’s no worse sin in a social order than apathetic leaders who fail to do their job, let alone to grow with it. Surely, because of all the calamities that have befallen Palestinians under their watch, these leaders have no right to accord themselves an assured sense of entitlement to uncontested leadership. Consider one calamity — whose consequences seem to have passed largely unnoticed in the public debate, but a calamity nevertheless that, in a trickle-down effect, has impacted the lives of hundreds of thousands of Palestinians — that the PNA has shown itself helpless at responding to: the number of executive orders issued by the White House, and the legislative bills passed by the US Congress, aimed at punishing Palestinians for their reluctance to join the “peace process” and hitch their wagon to the much-trumpeted “deal of the century”. Here’s the latest of these indignities, to which mere indignation should not have been the answer by Palestinian leaders — stop aid to all Palestinians, regardless of whom it goes to and whose life it affects, this being the directive from legislators in both the House and the Senate, who last year had unanimously passed the Anti-Terrorism Clarification Act (ATCA), which came into effect only last Friday. As of last Friday, then, the United States Agency for International Development (USAID), which in 2017 had granted the PNA close to $268 million (Dh983.6 million), including $60 million set aside annually to Palestinian security forces, will not disburse another cent in the West Bank and Gaza. The official thrust of ATCA’s message to Palestinian leaders was this: you accept the jurisdiction of the US court system in “terrorism-related” civil suits brought against the PNA and the PLO (which would potentially open Palestinian leaders to hundreds of millions of dollars in liabilities) or forgo all American aid. It will be recalled that, before ATCA was passed in July last year, the administration had already slashed the funds it traditionally provided the United Nations Relief and Works Agency (UNRWA), and axed sundry USAID donations, which left US-funded schools half-built, water projects unfinished, roads half-paved and humanitarian infrastructure in limbo. This came close on the heels of the Taylor Force Act, which passed into law in March 2018, aimed at compelling the PNA to end its practice of providing social welfare payments to the families of political prisoners in Israeli jails. Where does all this venom directed at Palestinians by American officialdom — at a time when larger segments of the American public are beginning to empathise with them — come from? Search me! I’m sure, however, there’s a graduate student out there, from our part of the world, contemplating a career as a psychotherapist (better still, as a psycho-historian) who will address the issue in his doctoral dissertation, if for no reason other than to make intelligible the cause of this pathology. 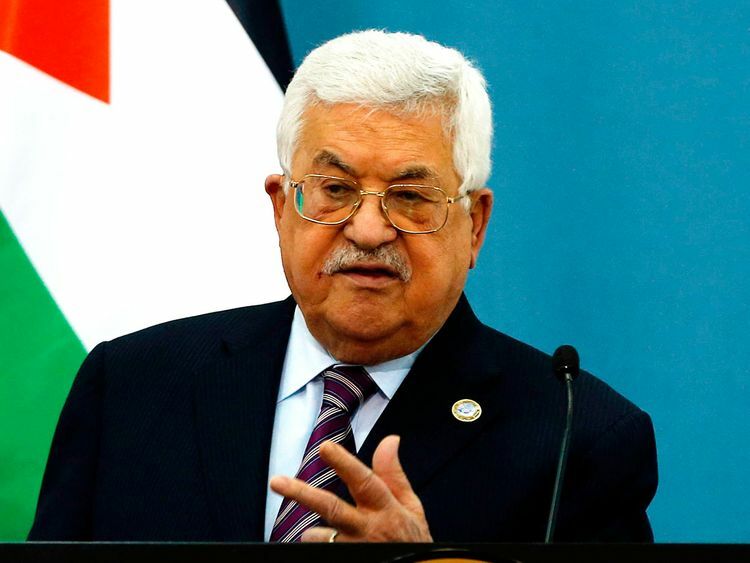 The bottom line here is that Palestinian leaders as a whole, seen beyond the narrow prism of the Hamas-Fatah binary, who do not show signs of being capable of reinventing themselves, have not only failed, but appear to have abandoned, their people. I say, time for them to lift anchor and sail away. And, yes, do you, like me, sense, as Palestinians under occupation bubble over with despair, that something will soon give?